Collective members enjoyed a private tour of the Kings County Whiskey distillery. 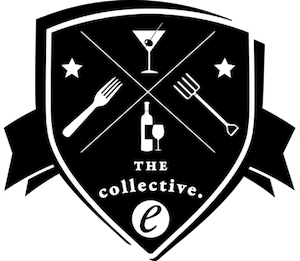 When we launched the Edible Collective last year, the goal was to gather food and drink professionals to build a community and offer insider access to events, tastings and career development. Last month, we continued on that mission with an afternoon gathering of bartenders and spirits professionals at Kings County Distillery in the Brooklyn Navy Yard. Dozens of bartenders joined us from around the city to tour the old Paymaster building, which now houses New York’s first operating whiskey distillery since Prohibition. After an extensive lesson in the history of distilling in the region, going back to the Dutch settlers of New Amsterdam, they walked through the distillery floor to see the kettles, stills and bubbling open fermentation vats. The tour ended with an extensive tasting and Q & A with distillery staff. At the end of the tour, Edible Collective members returned to the Gatehouses, a café, bar and tasting room built into the castle-like entry to the Navy Yard for cocktails and head shots provided by our house photographer, Clay Williams. If you work in the food and drink industry, whether in spirits, farms or restaurants, apply to the Edible Collective and join us at future events and tastings. The next one’s coming up on June 27, at Van Brunt Stillhouse. Collective members enter King County Distillery’s Paymaster building at the Brooklyn Navy Yard. Collective members learned about the science of distilling at Kings County Distillery. Collective members mingled in between getting some head shots. Nicole Hakli, wine director at ACME, is passionate about wines and education. Jacob Tschetter, bartender at Grand Army, is passionate about craft spirits and cartoons. Brian Winget, beer manager at Barcade, is passionate about brewing and heavy metal. Featured photo credit: Valery Rizzo.